Tógfar chuig an siopa dara láimhe i gCionn tSáile go luath muna dtiocfaidh éinne dóibh. They will be brought to the second hand shop in Kinsale soon if not claimed. Bookpeople books for sale at the school at the moment. Bhí an-seachtain againn ag ceiliúradh seachtain eolaíochta na hÉireann i mbliana. Chuaigh Ranganna a 4 agus a 5 go dtí Réadlann Chaisleán na Carraige Duibhe. Chuaigh Rang a 6 go dtí Eli Lilly. Bhí go leor trialacha eolaíochta ar siúl ag gach rang chomh maith. Tháinig Siobhán Devlin isteach ó HANDS ON SCIENCE agus rinne sí a lán gníomhaíochtaí suimiúla le ranganna a 1 agus a 2. Ár mbuíochas léi. We have had a great week celebrating Science week 2017. 4th and 5th class went to Blackrock Castle Observatory. 6th class visited Eli Lilly. Every class enjoyed investigating and doing science experiments. 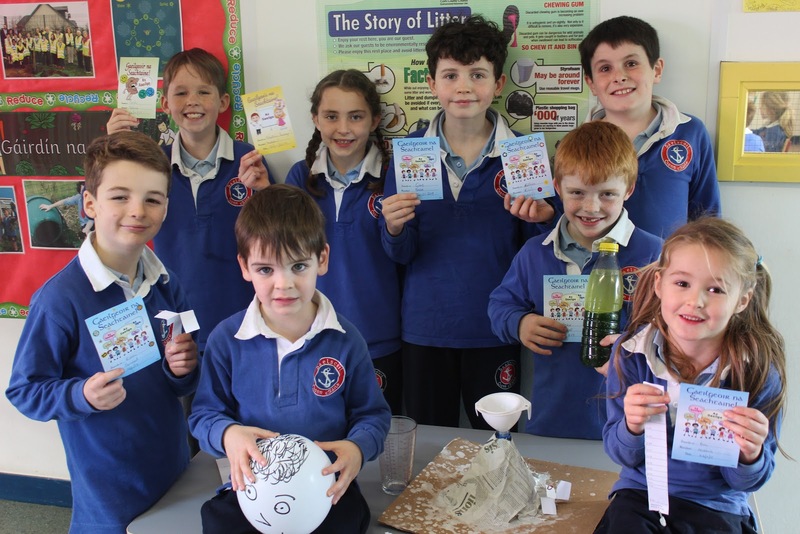 Siobhán Devlin from HANDS ON SCIENCE visited Rang a 1 and 2 and they did some wonderful experiments. Our thanks to Siobhán Devlin for giving us her time year after year. Dé Luain, 20/11/2017 ar 7.30 i.n. Fáilte roimh cách. Monday 20/11/2017 at 7.30 p.m. all welcome to attend. Beimid ag tógaint griangrafanna dos na páistí ar fad ar an Déardaoin beag seo (16/11/2017) ó 9 a chlog ar maidin le haghaidh Féilire na Scoile 2018. 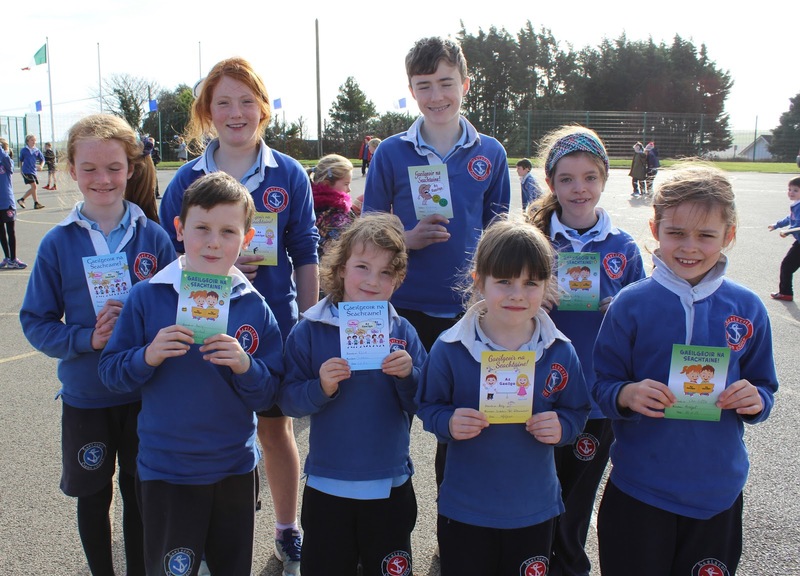 Bí cinnte go mbeidh siad ag caitheamh an éide scoile iomlán glan le bhur dtola. Bheadh sé iontach dá bhféadfadh na páistí bréagáin nó rud a bhaineann leis an mí a saolaíodh iad a thógaint isteach leo -mar shampla Feabhra -Cros Naoimh Bríde nó vailintín; Mí Dheireadh Fomhair -rud éigin do Oíche Shamhna agus mar sin de. Bheadh sé an-cabhrach chomh maith dá scríobhfadh sibh an dáta breithe ar lámha Naí Mhóra & Naí Bheaga. 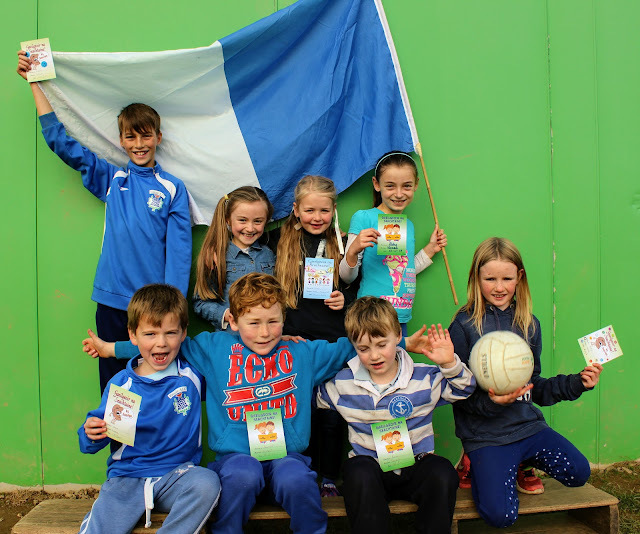 Táimid ag lorg urraíocht don bhféilire, mar sin tá sé in am anois do áit a chur in áireamh sa Féilire Ghaelscoil Chionn tSáile 2018! We will be taking photos of all of the children, grouped by their birthday month, on this Thursday (16/11/2017) from 9am for the 2018 School Calendar. Be sure that the children are wearing their full, clean school uniform please. If possible it'd be great if the children could bring in a toy or something else that has a link with the month in which they were born - February could be a Bridget's Cross or Valentine; Oct- something Halloweeny etc. It would be very helpful, also, if you could write the Junior and Senior Infants date of birth on the back of their hands. We are looking for sponsorship for the calendar, so now is the time to book your place in the Gaelscoil Chionn tSaile Féilire 2018! Mí-ádh lenár bhfoireann peile inniu 13/11/17 a chaill i gcoinne Rathduff. Bhí an-lá againn i bPáirc Uí Rinn! 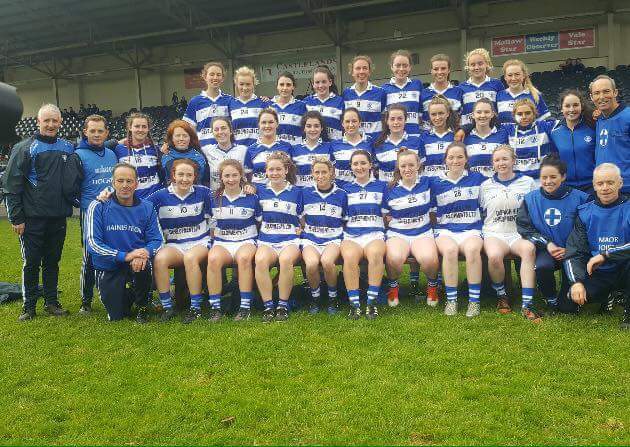 Go n-éirí (Best of luck) lena buachaillí atá i rang a 5 agus rang a 6 atá ag glacadh páirt i gcluiche ceannais Sciath na Scol Dé Luain 13/11/17 @ 12.30 i bPáirc Uí Rinn V Rathduff. Thug Eli Lilly cuireadh dosna daltaí i Rang 6 teacht chucu i Dunderrow i gcóir lá eolaíochta ar an Satharn 18ú Mí na Samhna 2017 ó 11 a.m. go dtí 1 p.m. Beidh Múinteoir Selina sásta bheith ann agus tuismitheoir amháin ag teastáil chomh maith chun maoirseacht a dhéanamh ar an lá. Eli Lilly have kindly invited the 6th Class students for a science day with them in Dunderrow on Saturday 18th November 2017 from 11 a.m. to 1 p.m. Múinteoir Selina is happy to attend and one parent is also required to supervise on the day.